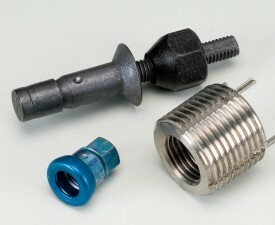 Atlantic Fasteners Co., LLC. (“Purchaser”)Terms and Conditions – No Terms and Conditions other than the terms and conditions set forth in this order and such items and conditions as are set forth in any document attached to or incorporated by reference in this order shall be binding unless specially accepted by an authorized representative of the Purchaser. Execution and delivery of this order shall not operate as such specific acceptance. Compliance with Laws – Seller shall comply with all applicable State, Federal and local laws, rules and regulations. Warranty – Seller warrants the goods and materials furnished under this order for workmanship, material and compliance with all specifications. Patent Infringement – The Seller agrees to defend at its own expense any suit or legal proceedings brought against the Purchaser as a result of the normal use of any material or equipment furnished hereunder. In the event that the Purchaser has given the Seller prompt notice of such claim, the Seller hereby agrees to reimburse the Purchaser for expenses and costs resulting from that claim, and to pay judgment that may be rendered against the Purchaser. This clause shall not apply to material or equipment furnished according to Purchaser’s written specifications. Transportation – Unless otherwise stated on the face of this order, terms shall be F.O.B. Seller’s plant, title to pass to Purchaser upon delivery to Carrier. No charges for unauthorized transportation or any amounts in excess of those charged for the specified method of shipment will be allowed. Delivery Schedule – Unless otherwise agreed, Seller shall not make material commitments or production arrangements in excess of the amount or in advance of the time necessary to meet Purchaser’s delivery schedule. Seller will not be liable for damages for delay of delivery beyond its reasonable control. However, Purchaser may, in addition to its other rights, at its option, either approve a revised delivery schedule or terminate in whole or in part, this order without liability to Seller on account thereof. 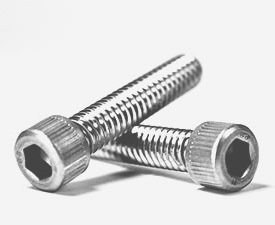 Seller shipments 30 days or more prior to order schedule date will be returned to Seller for shipment on the schedule date or payment will be made based on the Atlantic Fasteners requested delivery date, not the date of the Seller invoice. Liability – The Seller agrees that the relationship established by this order constitutes him as an independent contractor and that no tax assessment or legal liability of the Seller or of his agents or employees becomes, by reason of this order, an obligation of the Purchaser. Changes – Purchaser shall have the right to make changes in this order, but no additional charge will be allowed unless authorized by Purchaser. If such change affects delivery or the amount to be paid by the Purchaser, the Seller shall notify Purchaser immediately, and negotiate an adjustment in accordance with this Changes clause. In any event, the charges for obsolescence, scrap, and/or rework resulting from any change shall be limited to the material in process at the time of the change and within the Seller’s normal manufacturing cycle needed to meet the Purchaser’s delivery schedule. Termination – Purchaser may terminate in part or in whole, work under this order at no charge except for those limited to the material in process at the time of the termination of the order and within the Seller’s normal manufacturing cycle needed to meet the Purchaser’s delivery schedule. Products covered by a purchase order, and systems or special processes used to generate said product(s) are subject to evaluation and verification inspection by Purchaser, DOD, FAA, and any other government and/or customer representatives to determine their effectiveness in supporting quality requirements established above and to detailed drawing and specifications. Right of entry: Purchaser, its customers, and regulatory agencies have the right of entry to any place necessary to determine and verify the quality of contracted work, records, and material. Purchaser and its Sellers will use customers-designated or approved external sources. To ensure the integrity of its supply lines, Purchaser urges Sellers and their sub-tier suppliers to implement a quality management system, if they don’t currently have one. A supplier Certificate of Conformance (C of C) with authorized signatures must accompany each shipment. Compliance statement must indicate materials meet all purchase order and specification requirements, reference Purchasers purchase order number, part number, serial number (if applicable), quantity represented and the country of origin of the product being offered. The C of C must be signed by an authorized representative of the seller. A manufacturer’s Material Certification, test results, or authorized release must accompany each shipment when required by the purchaser. Manufacturer’s Material Certification, test results, or authorized release must be attached to the shipping documents or incorporated sufficient information to match it with the pertinent purchase order and specific shipment. Records of inspections and tests directly related to acceptance of products must be maintained by Seller and available upon request by either Purchaser or its customer. It is Purchaser’s policy to reject processes, products and services that do not conform to contractual and specification requirements unless accepted in writing by Purchaser The Seller must notify Purchasing Department of their intent to ship known non-conforming material prior to shipment to Purchaser Request for deviation and waivers shall be submitted to Purchaser in writing by Seller. Seller will notify Purchaser of any changes to product, processes, or services, including external supplier changes or manufacturing locations, prior to shipment. External providers’ performance will be monitored for on-time delivery and accuracy, failure to maintain acceptable performance may impact approval status or require corrective action. The Seller shall maintain the following quality control records (when applicable) for a minimum period of 10 years unless otherwise specified on the purchase order: first article inspection reports, in-house inspection reports, material certifications, suppliers certificate of conformance, corrective action requests, and any other documentation deemed necessary by the Seller. All requirements cited herein, including customer requirements must be flowed down to sub-tier suppliers. Is or contains items misrepresented as having been designed and/or produced under an approved system or other acceptable method. The term includes approved Work that has reached a design life limit or has been damaged beyond possible repair, but is altered and misrepresented as acceptable. Is Unapproved or Suspected to be Unapproved. Seller shall only purchase products to be delivered or incorporated as Work to Purchaser directly from the Original Component manufacturer (OCM)/Original Equipment Manufacturer (OEM), or through an OCM/OEM authorized distributor chain. Work shall not be acquired from independent distributors or brokers unless approved in advance in writing by Purchaser. Seller shall immediately notify Purchaser with the pertinent facts if the Seller becomes aware or suspects that it has furnished Unapproved or Suspected to be Unapproved or Counterfeit Work. When requested by Purchaser, the Seller shall provide OCM/OEM documentation that authenticates traceability of the affected items to the applicable OCM/OEM. Rejections – If any of the materials furnished under this contract are found to be defective in material, workmanship, or otherwise not in conformity with requirements of this order, Purchaser, in addition, to any other rights which it may have under warranties or otherwise, may reject and return such goods not to be replaced without authorization by Purchaser. Affirmative Action – Seller shall comply with the applicable provisions of US Affirmative Action Laws, the terms of which are incorporated by reference. Acceptance – Notwithstanding any notice or agreement to the contrary, any verbal and/or written acknowledgement of this purchase order, or the shipment of any material or the furnishing of any services pursuant to the purchase order shall constitute acceptance thereof by the Seller of each and all expressed terms and conditions stated above and slated or referenced on the face hereof.